Wurde bei Ihnen gerade ein Lipödem, eine schmerzhafte Fettgewebserkrankung, diagnostiziert? Vielleicht haben Sie diese Krankheit auch schon seit Jahren und suchen nach Ideen für Ihre Eigenbehandlung aus einer ganzheitlichen Perspektive. 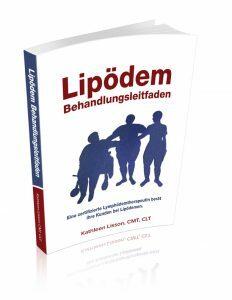 In diesem Buch erfahren Sie: Behandlungsziele für Lipödeme und Tipps wie Sie Schmerzen und Entzündungen reduzieren und Ihr lymphatisches System ankurbeln können. Wenn Sie nach einer Anleitung zur Pflege von Lipödem suchen, gespickt mit den neusten Ergebnissen der Forschung, dann lesen Sie dieses Buch! Empfehlungen für dieses Buch: Steven Dean, DO, FACP, RPVI, Professor für klinische internationale Medizin am Ohio State University Wexner Medical Center nennt dieses Buch „unglaublich gut geschrieben und informativ“ und gibt es seinen Lipödempatienten an die Hand. Jaqui Beutel unterrichtet Lymphatische Entstauungstherapiekurse in Australien und Neuseeland und händigt Kopien des Lipödem Behandlungsleitfadens an ihre Schüler aus. Um das PDF anzusehen, klicken oder tippen Sie hier. As a Certified Lymphedema Therapist, I have shared information on lipedema, an astoundingly underdiagnosed fat disorder, with individuals and community groups across San Diego and used social media to share tips on calming the pain and inflammation associated with lipedema. When I provide manual lymphatic drainage massage I get to hear my client’s stories and talk with them about their concerns. Many have recently had surgery or an injury and want to reduce swelling, or are living with lymphedema or lipedema and are looking for a more holistic approach to reducing their symptoms. The comments I hear more than anything else when I talk to people about lipedema is – “I wish someone told me what was happening to my body sooner” and “I wish my doctors knew about lipedema.” I hope you enjoy reading the information I share on this website! I do not endorse or encourage the use of words “overweight” or “obese”, because they are stigmatize people at the higher end of the weight spectrum. I believe that body sizes are naturally diverse, and that there isn’t anything inherently wrong with having a larger body. I may have used these words in prior materials before recognizing how harmful these words are to larger bodied people. I no longer use them as standalone terms. If I use them, I will clarify them by saying “obesity as defined by BMI.” There will be times when websites or research is shared that uses these words, and I want to be clear that I do not endorse the use of these terms. In addition, I will use the term, “fat”, as a neutral descriptor and not as a pejorative. I do this to normalize it as an adjective, such as, tall, short, or thin. I have adopted these beliefs from the fat acceptance movement which began in 1967. I believe that the more we move towards fat acceptance the better understood fat tissue disorders will be understood and therefore, useful and effective treatment will be more available to people with lipedema. Lipedema typically affects people with estrogen dominance, so most materials on the topic are geared towards women. This means that the majority of resources leave out trans men, non-binary, genderqueer, and gender non-conforming people and the few cis men who have lipedema. In designing this website, I wanted to be as inclusive of all genders as possible. You will notice that I have done my best to keep descriptors free of gender, unless I am quoting specifics from research. Unfortunately, lipedema research is quite focused on gender. I hope you will find this website a safer resource wherever you are on the gender spectrum. For more information, follow me on Social Media and subscribe to my Lipedema Newsletter.